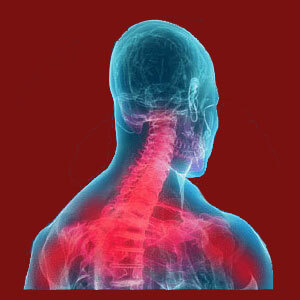 Has your doctor told you that you have a facet joint compressing a nerve? This diagnosis is most often part of a larger foraminal stenosis problem that might involve various contributors besides spinal osteoarthritis. Although not an actual expression of facet syndrome, osteophytes that form on the zygapophyseal joints can reduce the patency of the posterior border of the foraminal opening. When combined with general arthritic accumulations and the possible presence of disc abnormalities, such as intervertebral herniation, facet bone spurring can create the ideal circumstances for a pinched nerve to occur. This essay explores the compressive neuropathy diagnosis. We will examine how facet degeneration can contribute to the development of pinched nerve roots in the spine, as well as detailing the other causative factors. We will also examine the expected symptomology of a compressive neuropathy in short and long-term outlooks. Facet joints can encroach on the foraminal spaces when osteophytes form in the region or when the entire apophyseal joint becomes hypertrophic and extends into the neuroforamen. The foraminal space is simply a opening in between the vertebral bones that allows a nerve root to exit the spine and go on to become a network of nerve tissue that will innervate a specific region of the body. This opening is more than large enough to allow the nerve to egress, but when the passageway becomes stenotic, the nerve may become compressed and unable to function normally. Osteophytes are bony outcroppings of skeletal tissue and they can act as a compressive force when they grow in size and impinge on the nerve. It must be made very clear that the foraminal opening would have to be virtually completely closed off in order for a pinched nerve to occur. This is a state that is virtually impossible to achieve due to facet bone spurs alone. However, in conjunction with other stenosis-inducing factors, the facet degeneration might play a vital role in symptomatic development. General age-related changes will cause accumulations of arthritic debris in the central spinal canal and in the foraminal spaces. These forms of permanent stenosis are major players in enacting pinched nerve conditions, but once again, seldom act alone to generate symptoms. Ligamentous problems, such as ossification and hypertrophy, can help to close off the foraminal openings. However, only ossification qualifies as a true form of permanent stenosis. Disc degeneration brings the vertebrae closer to one another and therefore automatically reduces the effective size of the neural foramen. Bulging and herniated discs can encroach on the foraminal openings, but unless these disc abnormalities calcify, these are also not considered permanent varieties of stenosis. The most common types of disc irregularities to impinge on the neural foramen are posterolateral, far lateral, and of course, foraminal profiles. Preliminary symptoms of compression might include some local pain and pain in the innervated bodily region. Pain might not exist at all with some compressed nerves. Tingling will likely develop, possibly locally, but almost definitely in the innervated bodily region, followed by progressively more objective forms of numbness. Weakness will set in to the innervated region within days to weeks of initial compression. By this time, any pain that existed will likely fade or disappear. Once the anatomical area is deprived of nerve signal for an extended timeframe, functional deficits will likely develop, such as foot drop. The entire progression of these symptoms can occur rapidly in some cases or over several weeks in other cases. This is logical, given the variable nature of the nerve compression force applied. There are theories of partial compression causing the types of chronic pain often blamed on it, but these theories remain controversial and disputed by a diversity of clinical experiences.